Mornings are hard. Everyone is trying to get ready and out the door on time so breakfast often suffers. We've all heard the saying, “Breakfast is the most important meal of the day,” and there is some truth to it! For both children and adults, breakfast is important. I have many friends who have nothing but coffee for breakfast and this is really a mistake. There are so many healthy real food make ahead breakfasts you can have prepared for hectic mornings. Weight gain. Skipping breakfast can lead to overeating later in the day and making poor food choices. When breakfast is skipped you many not realize how hungry you are and when lunch time rolls around you are more likely to eat too much or choose unhealthy foods. Fatigue & Headaches. Two symptoms that people often tell me they have throughout the day are fatigue and headaches. Both of which can be side effects from not eating a healthy breakfast with enough protein and healthy carbohydrates (think fruit & veggies!). Cravings. You may think you aren't hungry in the morning but your body needs some nourishment. When you don't give your body the much needed nutrition first thing in the morning you'll start craving sugary foods. That is a common response when the body is lacking energy. These are just three of the many reasons why we all need to eat breakfast to stay healthy. Children especially need the nourishment in the morning because of how quickly they metabolize a meal. My children wake up in the morning and the first thing they ask for is food!! To make your mornings a little less stressful, real food make ahead breakfasts can save a ton of time and worry. Here are some ideas for real food make ahead breakfasts you can prepare so there are less things you need to do to get breakfast on the table in the morning. Almond & Flax Protein Bars – These bars are packed with protein from nuts & seeds! Way better then any store bought bars. 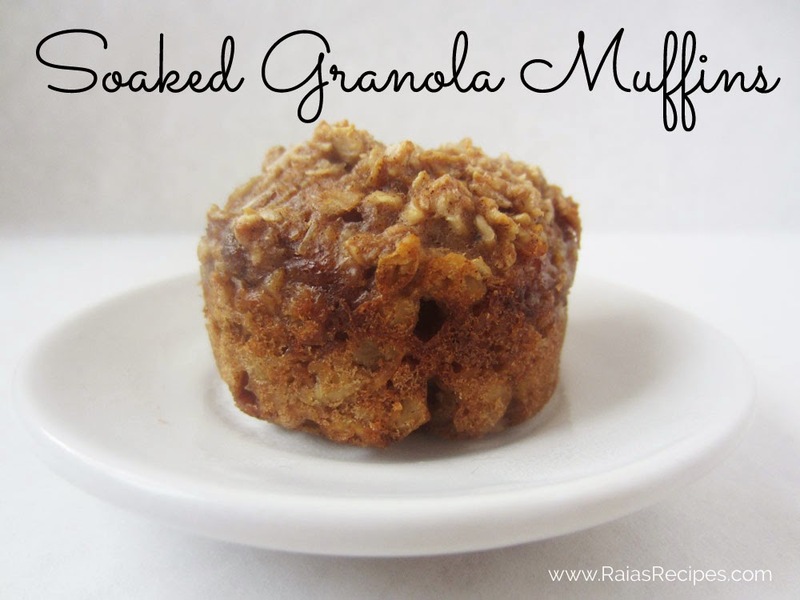 Soaked Granola Muffins – these look yummy, must try them soon! Zucchini Apple Muffins – I love the idea of a muffin that has veggies hidden inside, it's a great way to get more in your child's diet. Apple Pie Paleo Granola – this looks fabulous, my kids LOVE granola so this is on my plan to make! 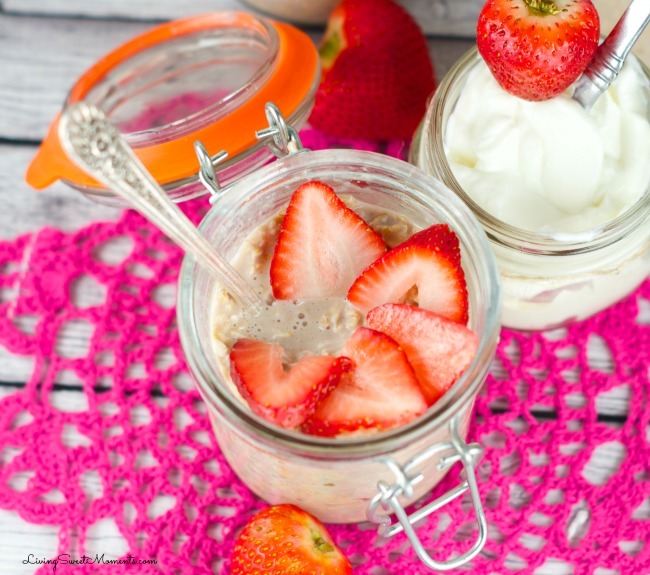 Strawberries & Cream Overnight Oats – I love the idea of something you can setup before bed and it's ready to go in the morning! Sunbutter Breakfast Cookies – What kid wouldn't want a cookie for breakfast?? These are super healthy and allergy friendly. OK, my challenge to you: Pick one of these real food make ahead breakfasts, make it this weekend and have them ready to go for school mornings next week! If you enjoyed this article, please share it on social media. Thank you! Yummy list! Thanks for sharing my granola muffins! 🙂 I hope you get a chance to enjoy them. you’re welcome! thanks for the post, I know my kids will enjoy them! Such a great list! I love make ahead meals. Thank you for including some of my recipes!